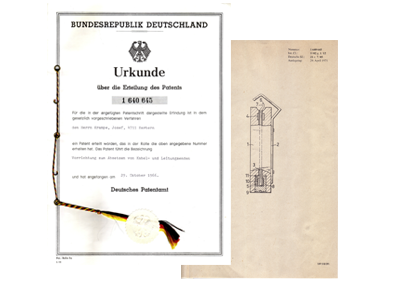 Change of the Wiring Regulations: Lead and tin coats were no longer used in the cable production, as this was a huge burden for the workers when they installed the cable in the electrical trade. Furthermore, the risk that the inner conductors were damaged during exposure, was very high. In practice, every second or third stripping was faulty and had to be carried out again. This had an enormous material consumption. Instead cables were introduced with a plastic sheath now. 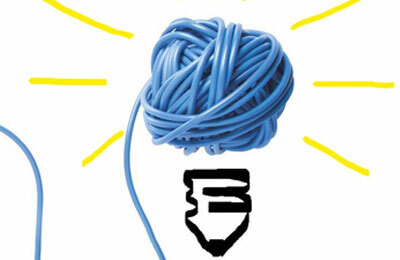 This innovative way of achieving wire, with the result that new editing tools were needed. 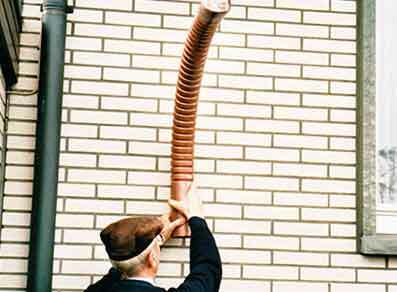 And Josef Krampe had an idea how he could strip this plastic-sheathed cables quickly and safely. The birth of JOKARI cable knife had come. 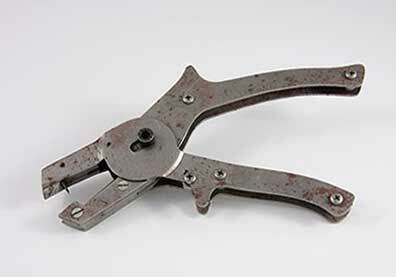 The master electrician presented his invention, the kable knife, to countless reputable companies. 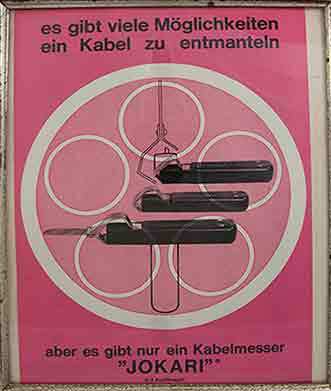 But Josef Krampe found no buyers, who wanted to record the tool in their range. 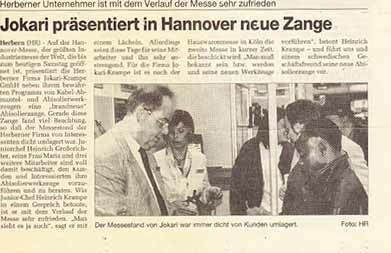 The tool was presented at the Hanover Fair and a success. 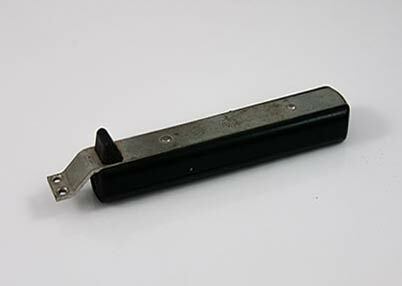 Suddenly interested parties were present, who recognized the importance of the new JOKARI cable knife, it instantly integrated into the tool program and the forced sale. 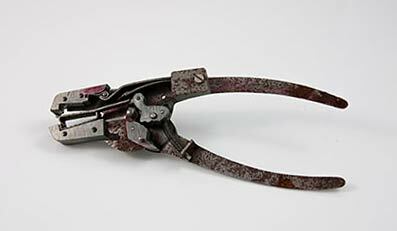 Josef Krampe now found an opening in the wire-processing and invented even more stripping tool, for example, cable strippers and wire strippers. "Foundation of the company JOKARI. 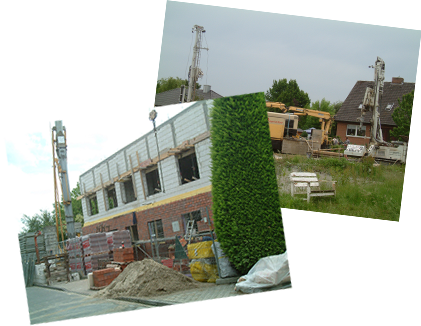 The name "JOKARI" consists of the following components:"
From the garage manufacture and electro installation shop an industrial plant now emerged. 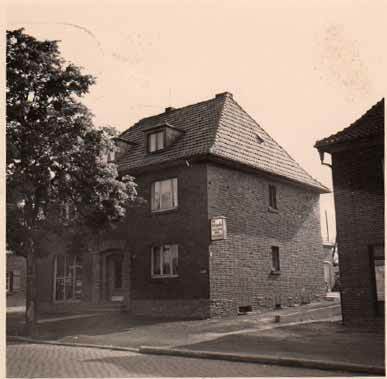 Due to the sales success a new production hall with office building had to be built. 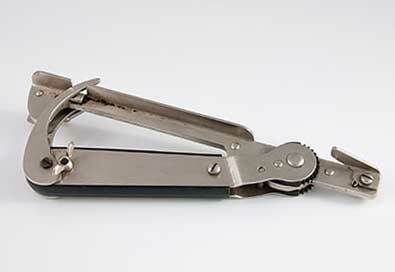 Engineering model of an automatic wire stripper emerged at the end of the 1970s. 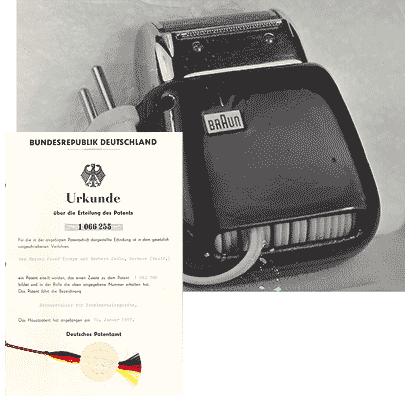 First JOKARI wire stripper with plastic body, but this version was never sold. 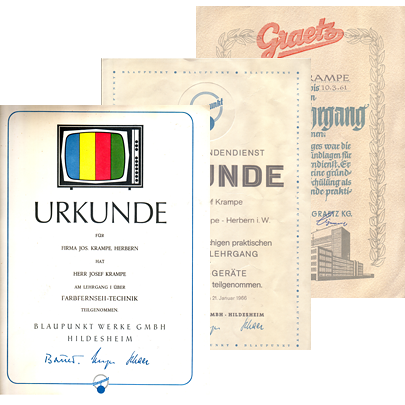 The electric installation and television shop was abandoned and from then Jokari fully concentrated on the development of stripping tools. 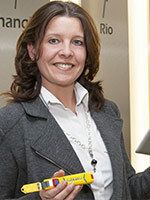 Maria and Heiner Grosserichte now form the second generation in management. 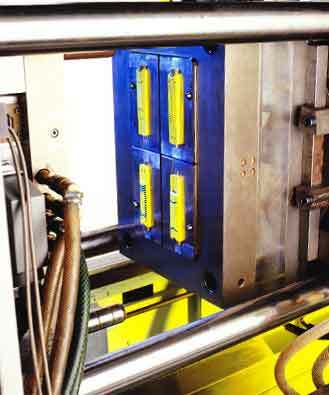 Expansion of production both by attaching additional parts of production hall and through the establishment of a own injection molding production. 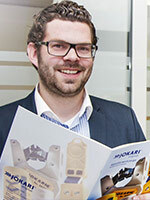 One central distributor did operate the marketing of JOKARI Stripping tools for 20 years, 1988 JOKARI bears the challenge and starts its own global distribution of the products. 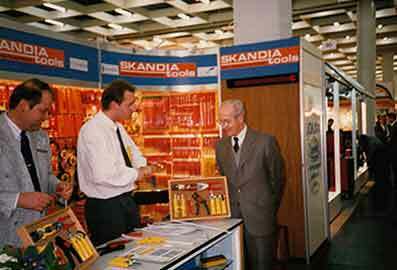 JOKARI's own first-time presence at an international event: the International Hardware Fair in Cologne. Expansion of the distribution network by attracting national and international customers. Driven by the success and the extended market knowledge, more tools have been developed and brought to market with success. 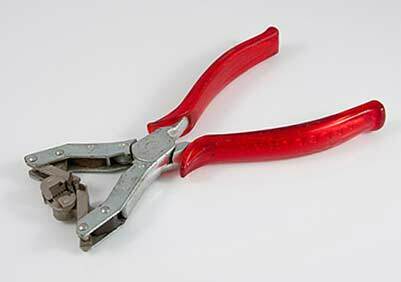 Especially the cable-strippers play an important role in the installation technique of electrics. 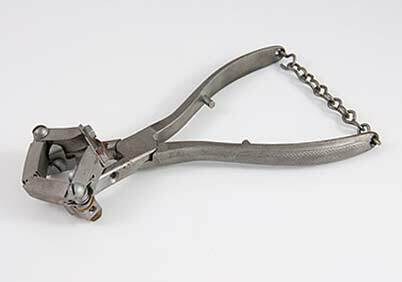 In addition to the cable diameter, these tools are now a important part of the fast and secure wire processing in industry and crafts. 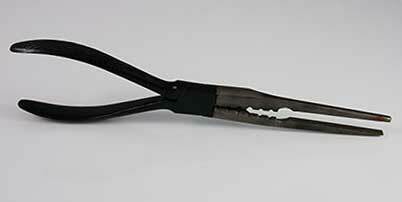 New manufacturing techniques such as the two-component handles are inserted in JOKARI. 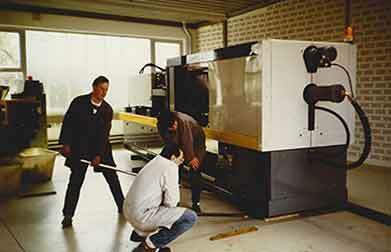 Expansion of the machinery. Expansion of production through purchase of additional land and expand of the storage capacity. 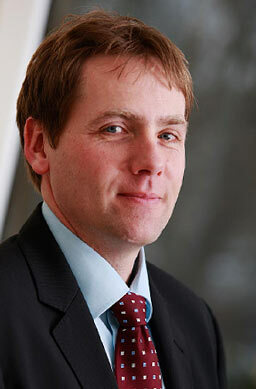 With Carsten Bünnigmann as general manager of JOKARI, the entrepeneurial family's third generation is introduced. 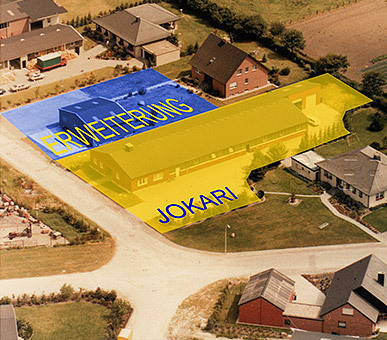 JOKARI is valued as a reliable partner and receives requests from around the world to develop stripping solutions. 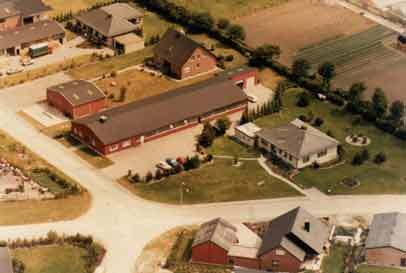 Expansion of production and office space with transition to alternative energy sources such as heat pumps and photovoltaic system. 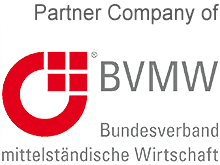 New brand identity of the company. 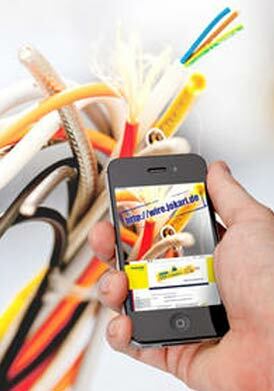 Solutions for industrial wiring are pursued and several innovations are added to the entire range annually. 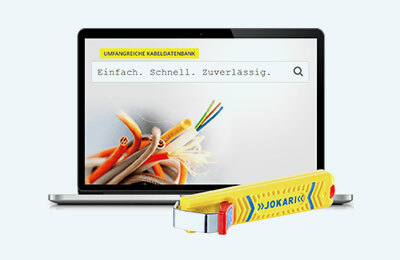 JOKARI implements a cable database for tool recommendation: a whole new definition of knowledge transfer. 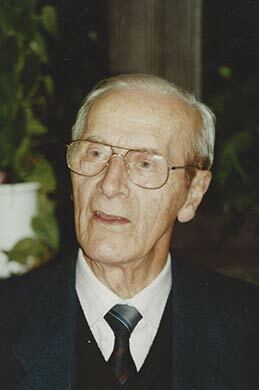 Josef Krampe dies at the age of 97 years. 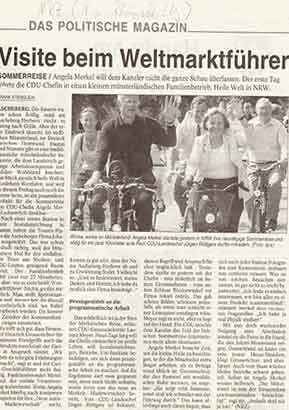 His granddaughter Andrea Bünnigmann becomes general managing partner and officially completes the management. Social media is used actively by JOKARI: Facebook and Twitter are becoming popular communication channels in the overall strategy of the company. 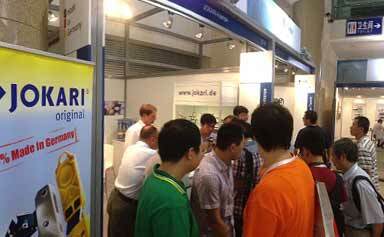 The international orientation of JOKARI is actively enhanced by participation in trade fairs in Beijing and Tokyo. 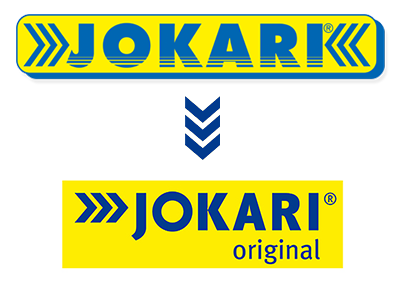 From electric shop to market leader - For more than 45 years the name Jokari has been standing globally for high-quality wire strippers made in Germany. Already led by the third generation of the family of the founder we assert oneself as an international market leader. 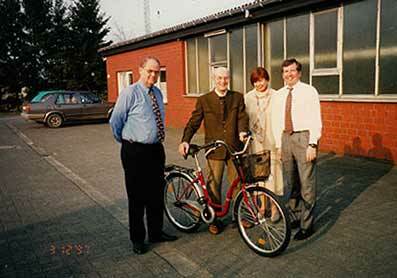 But of course we started as a small company when the Krampe couple founded an electric and hifi shop in 1949. 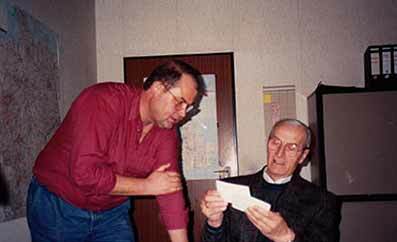 Almost every day they got insights into their costumers´ wishes, and by the time master electrician Josef Krampe saw where technics were in need of improvement. On this grounds he invented a couple of years later the revolutionary and patented Jokari-knife that made the painstaking wire stripping a lot easier. 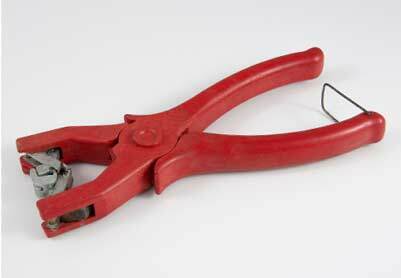 The grat success encouraged Josef Krampe to build up a manufacturing firm for wire strippers. 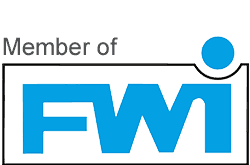 By doing so the former craft business became a nationally and internationally successful industrial company. 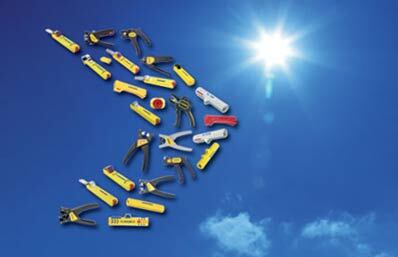 We act globally and have a worldwide sales network for our tools. 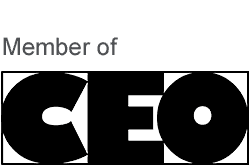 We continually broaden our product range, realize innovative ideas and stabilize our leading position as a renowned producer for precision tools in stripping and dismantling technology.